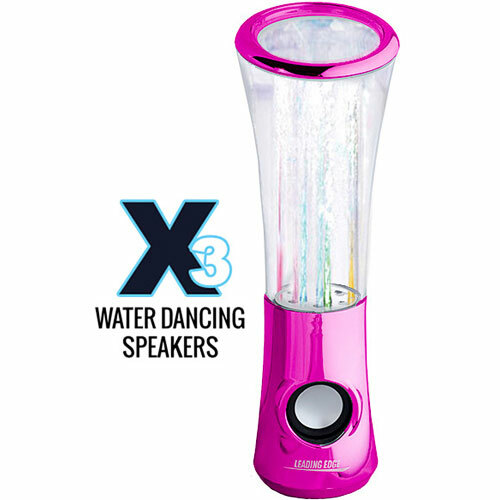 The official Leading Edge® X3 Water Dancing Speakers are the COOLEST and MOST unique speakers on the market! The Water Dancing Speakers are Awesome! Take your music and sound to another dimension. Play your music and freak out your friends. Connect to Computers , IPhones, IPods, Tablets, Android, Game Players and More. The multi-colored jets of water dance to the volume and beat of the music. 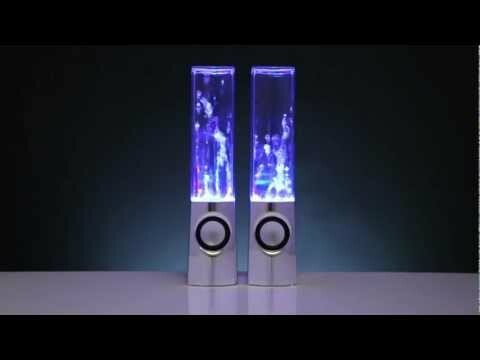 That added to the 4 multicolored LEDs create an incredible light and water show. The speakers stand 9" tall and create vibrant sound, and are compatible with any audio device that has a 3.5mm audio jack connection. They are completely light weight and portable. These speakers share the same great sound and reliability you've come to expect from all Leading Edge® products.